Enjoy the top 1 famous quotes, sayings and quotations by Nathan Crowley. 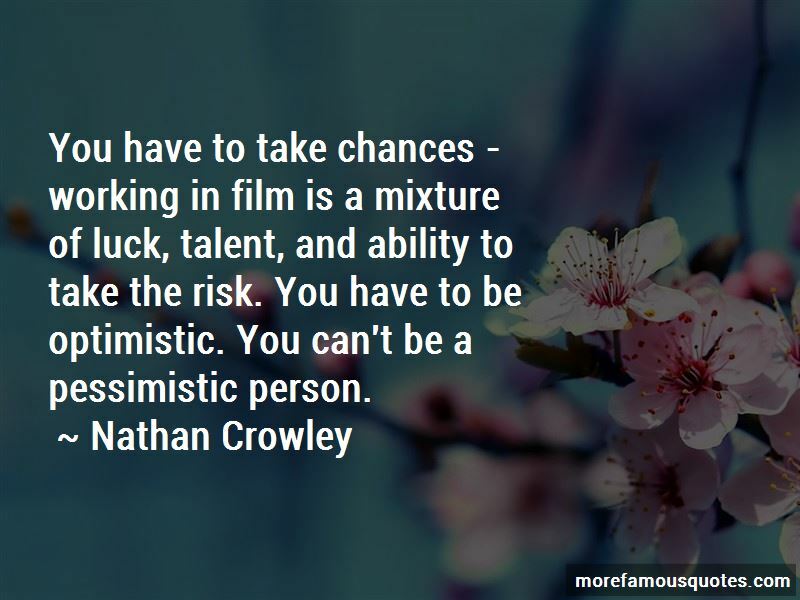 You have to take chances - working in film is a mixture of luck, talent, and ability to take the risk. You have to be optimistic. You can't be a pessimistic person. Want to see more pictures of Nathan Crowley quotes? Click on image of Nathan Crowley quotes to view full size.